Do you wish for the opportunity to transform volumes of untapped data into an ocean of business value? Are you someone who dreams of numbers and generates algorithms in your sleep? Are you looking to join a team of friendly and often hilarious data science professionals? If you answered yes to these questions, you’ve found the right place. We are looking for a Data Scientist to utilize our wealth of data and harvest insights that help us understand who our customers are and how we can best serve them. You will have opportunities to build and optimize models, while bringing machine learning use cases to life. At CarRentals, the mission of our data scientists is to improve the customer experience through automated decision-making at scale. We solve a variety of challenging business issues through analytical rigor and hypothesis driven testing and decision-making. Own and apply statistical concepts to design tests and identify A/B and multivariate test winners. Develop techniques to build segments/audiences which can be used for targeting and improved customer profitability. Explore and enhance your passion for data science and deep analysis through continuous learning. Build relationships with marketing, product, pricing, and others to merge their business context with your modeling prowess and bring our data to life. Partner with analysts, data engineers, and developers to train, deploy, and test scalable and efficient models. Network with your data scientist peers across Expedia Group as you seek out the most appropriate methods and approaches to accelerate our and your learning. Develop a deep understanding of our customer through analysis of all aspects of the customer journey. Discover new approaches to address the needs of global travelers in an automated and scalable way. Create compelling narratives that clarify your approach and bring transparency the customer experience. You will take on challenging data science problems in a business led by truly data driven leaders. You will be surrounded by peers that love to test and learn. You will experiment with tons of data every single day. You will join an interesting industry that impacts millions of travelers around the world. You will participate in an environment that encourages innovation, collaboration, thought leadership, and fun. You will continually grow and improve through conference attendance, skillset expansion, classes, etc. You have a master’s degree or higher in computer science, data science, statistics, informatics, or equivalent with 2+ years work experience training and scoring machine learning models. You have experience developing SEM bidding, learn to rank, and similar models involving regression and classification. You have strong programming (Python, R, etc.) and data preparation (SQL) skills. You have a passion for solving difficult issues in unique and creative ways. You can apply a wide variety of technical methods and models to effectively solve business problems. You have a history of producing outstanding results both professionally and personally by being forward-thinking, organized and committed. 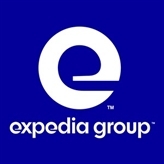 Data Scientist at Expedia, Inc.